” RISHIMUKHA PARVATAM ” the holy place where Sri Rama bhaktha Hanumanji met Supreme Lord Rama and Lakshmana for the very first time. The journey for a devotee of Lord Rama from Ayodhya to Lanka takes us through many places in India. One such place is Kishkindha ….. Proceeding ahead with our pilgrimage to LORD RAMAs Holy abodes few years back , we reached Hampi in the state of Karnataka where the KISHKINDA charitram happened . RISHIMUKHA PARVATAM is the place where Hanumanji met Lord Rama and Lakshman for the first time. Sugreeva had sent Hanumanji to meet them in order to make sure that they were not spies of his brother and arch enemy Bali. It is said Hanumanji carried Lord Shri Ram and Lakshman on his shoulders and took Lordships to Rishimukh Parvat to meet Sugreev. The capital city of Sugreev “Kishkinda” is also near by.. This kingdom is identified to be the regions around the Tungabhadra river (then known as Pampa Saras) near Hampi in Karnataka. There is a mountain near to the river (as shown in the picture )with the name Rishimukha where Sugriva lived with Hanuman, during the period of his exile also is found with the same name. During that time the whole region was within the dense forest called Dandaka Forest extending from Vindhya range to the South Indian peninsula. Hence this kingdom was considered to be the kingdom of Vanaras also co relating it to Kishikinda Near the ancient Kishkinda, around four kilometers from the town of Hampi, there exists a Mountain called Malbhavant (Prastravan) where Lord Rama has spent the monsoon season. The places to see around this area include Bali Bandara, Anjani Parvat (mountain), and Matang Rishi Mountain . Matanga Parvata (hill) where Matanga Rishi’s Ashram was & where Sugriva stayed to escape from Bali ……………..
Malyavanta Parvata where Sri Rama & Lakshmanji stayed during chaturamasa (the rainy season) ……………..
Anjane Parvata where Anjani Mata’s cave is – birthplace of Hanumanjee …….Rishimukha Parvata Actual site of Kishkindha nagari …………. ..Kodanda Rama Temple where Sri Ram anointed Sugriva as King of Kishkindha ……………”Yantra” Hanumanji where Sri Ram & Lakshmanji met Hanumanji for the first time Temple …………. Sugriva’s Cave where Sugriva hid Sita Mata’s clothes & jewels dropped from the vimana as she was being taken away by Ravana. Chintamani Ashram is the holy place from where Lord Sri Ram fired the lethal arrow at Vali . Vali Kasta is the place where Vali was cremated and his ashes lay for a long time . This place is very difficult to locate as the huge pile has been almost fully leveled by the locals for farming…………. Pampasarovar is the Pampa lake, as described in the Ramayana . Shabari Ashram is where Shabari Mata waited for Lord Rama. Hanumanjee while returning from lanka personally submitted the choodamani given by Mother sita to Lord Ramar at this place near Malyavanta hill. River Tungabhadra in full flow at Hampi surrounded by hillocks on either sides is a divine sight to watch . -Lord Rama crowned Sugriva as Vanara King at this very spot.Lord gives darshinam as as “Vaikunta Ramar” holding sankhu and chakram. 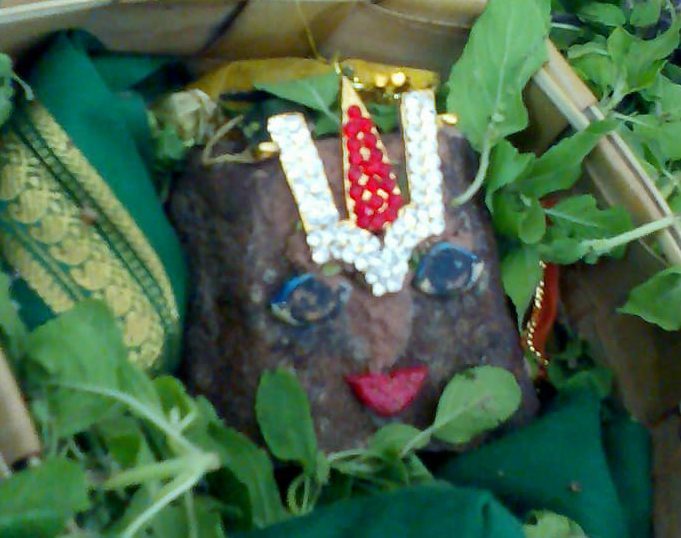 All the deities have been sculpted in a single rock. This temple is on the banks of Tungabhadra river at Hampi. We move at the banks of Tungabhadra river to have darshanam of Purandaradasar Mantapam in Hampi. Sri Purandaradasar was incarnation of of Sage Naradar and preached bhakti through his songs which Lord Malayappa Swami along with His consorts listens daily during Sahasradeepalankarana seva at Tirumala. The great devotee spent his last days at this place.Sri Ramar temple at Malyavanta hill where Lord Rama and Lakshmana stayed for four months during rainy season after crowning Sugreeva as King of Vanaras..
Hanumar offered the Choodamani given by Mother Sita to Lord Sri Ramar at this place-Malyavanta hill. Hanumanjee conveyed the whereabouts of Mother Sita to Lord Rama. Sri Sita,Lakshmana,Hanumath sametha Sri Ramapiraan’s sannidhi along with utsava murthis. .Hanuman is in kneeling posture with choodamani in his hand alsoYanthrodharaka Hanumar temple near Kodandaramar temple, Hampi. A unique combination of Sudarshana Chakram and Sri Hanumar. (Usually we find combination of Sudarshana Chakram and Narasimhar). The locals informed that the great saint Sri Vyasaraja everyday used to draw a picture of the Lord Hanuman on the rocks before offering his prayers using a charcoal and the picture disappeared after the rituals were completed. This incident happened for 12 days in a row. Sri Vyasaraja pleaded Lord to appear…On the twelfth day, Lord Hanuman appeared in front of his devotee and blessed him. It is said that the Lord himself asked Sri Vyasaraja to first constrain him in a hexagonal or a six angled amulet and install him in that place. Legend also says that, this was the place where Lord Rama and Lord Hanuman met for the first time. The temple is on the top of a hill and on the banks of Tungabhadra river; there are steps leading to this temple. Lord Hanuman here is is in a meditative state and when you closely look at the Lord, you would get to see the carvings of 12 monkeys holding tails of one another as they face backwards. It is a representation of the 12 days of prayers that Sri Vyasaraja did before the Lord blessed him. The crown of Lord Hanuman is his tail and there are seed syllables carved on the entire rock around the statue. Yantrodharaka Hanuman is the first installation of Sri Vyasaraja amongst the 732 Hanumanjee installations. A stream of Tungabhadra that flows in this divine land is known as Chakrateertha. This is the only Hanuman deity facing his devotees straight and is in the meditative state. The temple was constructed by the Vijayanagara emperor Tammaraya. The Priest informed Hanumanjee is very graceful. The locals say that to honour Hanuman after he met Mother Sita, the vaanaras honoured him with holy bath. ( Abhishekam ) Thirumanjanam was being performed when we went to have darshan. Yanthrodharaka Hanumar temple near Kodandaramar temple, Hampi. A unique combination of Sudarshana Chakram and Sri Hanumanjee makes one charged to be a soldier under his custody . (Usually we find combination of Sudarshana Chakram and Narasimhar). You can see the photograph of the closer view of Hanumanjee handing over choodamani to Lord Ramar at Malyavantha Raghunatha temple in Hampi . We move ahead to have darshanam of Sri Rambhakth Hanuman at Madhuvanam,Hampi. Jubilant Sri Hanumanji after his triumphant return from Lanka along with other vanaras entered Madhuvan , the most favourite garden of Sugriva to satisfy their hunger. While giving aarthi to Hanumar, the priest explained how the vanaras entered Madhuvanam and after taking Angadha’s consent, they drank honey to their satisfaction and trampled the garden out of excess joy .
. He forgave them and instructed his uncle to send the vanaras immediately to Malyavan parvath where Sri Rama and Lakshmana were eagerly waiting to hear about Thayar’s welfare. You can also see the photograph of RISHIMUKHA PARVATAM ..This kingdom is identified to be the regions around the Tungabhadra river (then known as Pampa Saras) near Hampi in Karnataka. The mountain near to the river with the name Rishimukha where Sugriva lived with Hanuman, during the period of his exile also is found with the same name.During the time of Ramayana i.e., Treta Yuga, the whole region was within the dense forest called Dandaka Forest extending from Vindhya range to the South Indian peninsula. All glories to the devotees who are reading adiyen’s SriRama Anuyathirai patiently . May our LORD SITA RAMA always be with us . Next postLord Narasingha and the hunter…………………………… MAATHA NARASIMHA PITHA NARASIMHA BRATHA NARASIMHA SAKHA NARASIMHA VIDYAA NARASIMHA DRAVINAM NARASIMHA SWAMI NARASIMHA SAKALAM NARASIMHA….. The journey for a devotee of Lord Rama from Ayodhya to Lanka takes us through many places in India. One such place is Kishkindha …..Proceeding ahead with our pilgrimage to LORD RAMAs Holy abodes few years back , we reached Hampi in the state of Karnataka where the KISHKINDA charitram happened . RISHIMUKHA PARVATAM is the place where Hanumanji met Lord Rama and Lakshman for the first time. Sugreeva had sent Hanumanji to meet them in order to make sure that they were not spies of his brother and arch enemy Bali. Hari Om! Jai Sri Ram…Ram….Ram….. Inspiring Information & much more…. Adiyen Ramanuja Dasan – Jai Sriman Narayan! Thanks for sharing it. 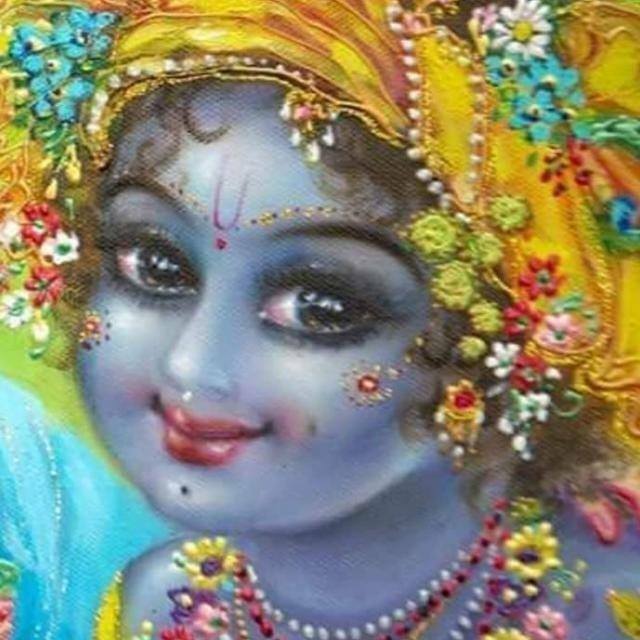 Rama’s story is sweeter than honey, I have learned new things from the post which I am not aware of it before.